As an artist and quite active and curious person, I’ve always been grewing many things in the same time. So, training and experiences was most of the time… in the same time. No break, just a continuity of different experiences, depending of my enconters, proposals, the reality of the life in our (economical) system… and where I was in the world. January 2018: Opening of Leiya and Naoshi healing clinic (Uenohara, Fujino, Hachioji, Tokyo). 20th january 2018: HEALING DAY EVENT (kinesiology and sonotherapy) + HEALING CONCERT at Nerima, Hitoshi Teramoto’s healing space. From mai 2017 : HEALING SHOP at Fujino BIO Market every 1st and 3rd tuesday of the month (kinesiology, reiki, Thai-yoga massage, Philippin’s healing) + sell of home made organic jam and organic detergent. 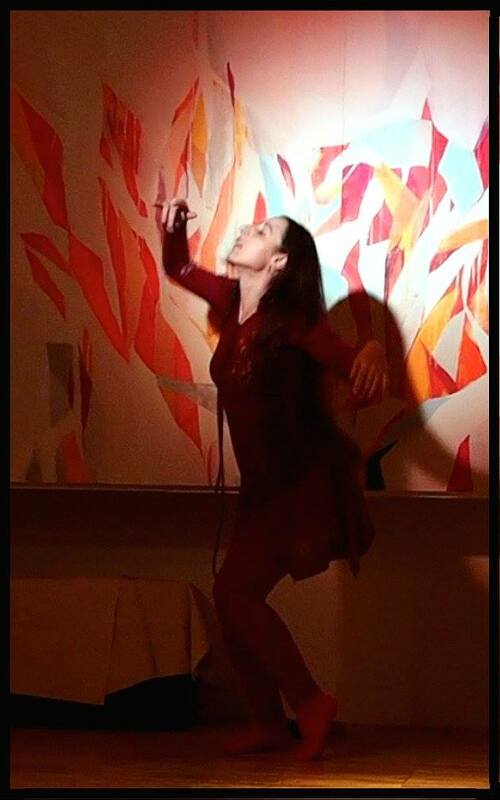 dec 2015-2016 : Actress dancer in the dance and theatre artistic creation : “NEGAU”, Tokyo- Japan, 12 to 14/02/2015, Galery Art chiyoda 3331. Contribution to promotion-diffusion work. Stage manager for the theater dance compagny of Hiroshi Koike during the performing art festival in San Francisco in mai 2017. 2013-2014 : Actress-dancer ont the instant creation project”Barocco Show”, an audiovisuel experience including music, projection, and dance. Creation of a dvd based on the residence work, and performance on festivals in France. 2009-2014 : Artistic direction, dancer-choreographer, administration and production. Creation and production of the performances : “Bellywood show”, “Danse du monde”, “Indian Magic”, “Pleine lune”, “Lève toi ou crève”. 2013-2014 : Dancer choreographer, production and promotion of the company. Tokyo, Japan : Sufi inspired performance, Sali’s end of the year show (Tilta oriental dance compagny) a charity show in order to send founding to people to recover from the last huge hearthquake in Japan. Perth, Australie : festival Wamed. Dancer actress in the performance “Hammam” of Belyssa Danse Academy, and a solo one’s in the “Grand bazard” of the festival. Perth, Australie : International art festival, performance with “Beleza” afro-brazilian’s music and dance. Lyon, France : burlesque night “Toutes à poele”, theatrical burlesque dance performance “little balinese in Paris”. Région Rhône alpes : ambulatory dance with musicians with disabled adults. Lyon, France : Industry profesional lounge, ambulatory show with musicians. weekly and private class – World dance with a personal development and well being aspect : oriental dances (traditional, contemporary, fusion), tziganes dance, greek/turkish dance repertory, central asian dances, indian (bollywood with traditional indian dance initiation). Creation of a dance student company : choreographer and organizer of performances for many events. Organizer and choreographer of performances and conferences serving the purpuse of informing, fighting against ignorance and confusions, and opening minds to different cultures by allowing their understanding. From december 2016 to march 2017 : Art teacher (painting, drawing, body expression) at “Fairy Tail”, bilingual nursery school. Strasberg institut method of acting : practice of relaxation and development of the sensory memory. Intense training of twice 3 weeks. Work on scene, by two, and a monologue, in English and in French. Acting (classical and modern repertory), Mime (Adrien Tringlian), mask, comedia del Arte, clown, Voice practice (Roy art theatre), Singing, Dance, Scenic movement (Vladimir Granov), Kathakali (Annie Roumani), Administration-production, theatre history, creation of short play, presentation of our work during the quarterly evaluation. Performance at the “little theatre of la Croix Rousse” – Adaptation of “Twelfth Night” Shakespeare, Rôle : Viola. mai 2011 – juin 2011: “Cie Broutille” promotion-communication-diffusion, technician assistant (light installation), stage assistant during amateurs classes, in charge of the warming up of the cie rehearsals, note making (stage direction assistant). mai 2011 : Assistant in the instalation of the decor and the artistic light installation of an artiste from Lyon during the festival Utopiste in the “Théâtre des Célestins”, Lyon. Acting (classical and modern repertory) , body and voice with Mireille Antoine from the Roy Art Theatre, Mme J.Sondaz, and Philippe Mangenot for the study of Vinavers (Théâtre des Ateliers, Lyon). Performance in the “Théâtre du Point du jour” during a young actor’s festival. Work on “Ruy Blas”, “Hedda Gabler”, “Vinavert”… and up to 3 times a week in the theatre to watch performances. Contemporary dance (english method) and Ballet (Pascale Doye), musical education, education of a good body placement with stretching and a safe preparation for the class. Contemporary dance – Streching of the ‘body laterals crossed chains’. Participation to many workshops with Alexandre de la Caffinière during the development of his SAFE® méthod in Paris. It allowed the body a better proprioception, understanding of the mouvement, in the respect of the body. Pierre Doussain’s technics, group improvisation, work on the solo, workshops and intensive sessions, performances to present the work in process. 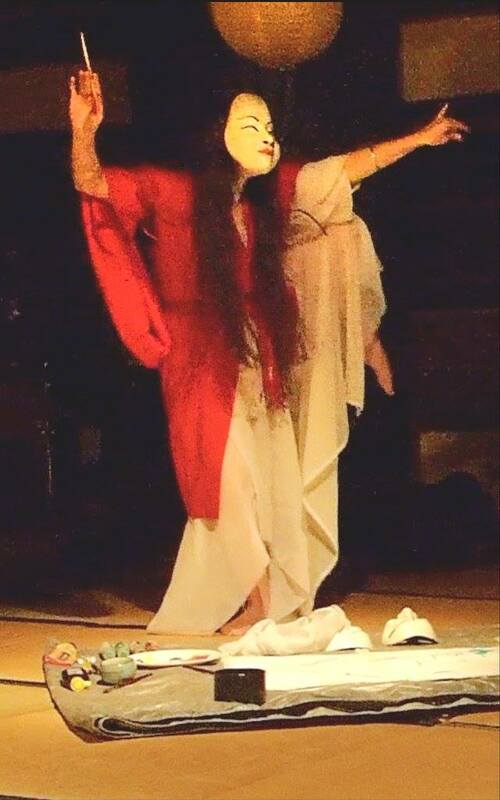 Currently, I learn Nihonbuyo, traditional japonese dance with my teacher Sengiku Bando, in Tokyo, and I go frequently to some kabuki an Nô theatre play. Khaled Seif – Dancer (Egypte, Suisse) : Teaching dance and technic of the oriental egyptians dances, history and origin. Accompagniement of the person to a better being by the harmonisation of the energetic, physical, psychical, emotional imbalanced, by the identification of the stress at the origin. Thailand, Chiang-mai, TMT school, 2009 : thai massage lie down and sit. Cosmetology, selling, marketing, economy, managment, right, physics, general and skin biology, make-up, face and body care, nail care. Beauty, fasion, historical make-up, stage, SFX, hairpiece and wigs fitting. for over ten years. I’ve been interested in population movement, musical instruments, dance, theatre and the position of art in society. Amongst them, I have especially taken an interest in the Tsiganes Roms (Turkey, Kalbelia, Romania, Flamenco) and silk road dances, including Persian, central Asian, Middle Eastern, the Balkans and Indian (Kathak, Bharatanatyam) dance. In 2012 I was in Peru, Bolivia, then Mexico and Guatemala to learn about Incas and Mayas, and about the culture in this two latin american’s area, especially about believing by visiting many archeological and sacred sites, and by meeting interesting people from many areas. I am currently learning Nihon Buyo, traditional japonese dance, with Senkiko Bando. I am also researching about Buto at the Hijikata Tatsumi Archive at Keio University in Tokyo, and take regular Buto class with Yoshito Ohno, Natsu Nakajima, Yuri Nagaoka and Seisaku, and of course by myself in nature. I get lots of inspiration from this practice for my creative work process, and that influence all my curent project.